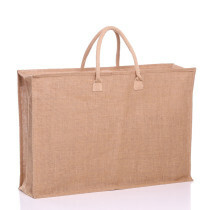 We are proud to offer you the largest range of jute bags on the market. 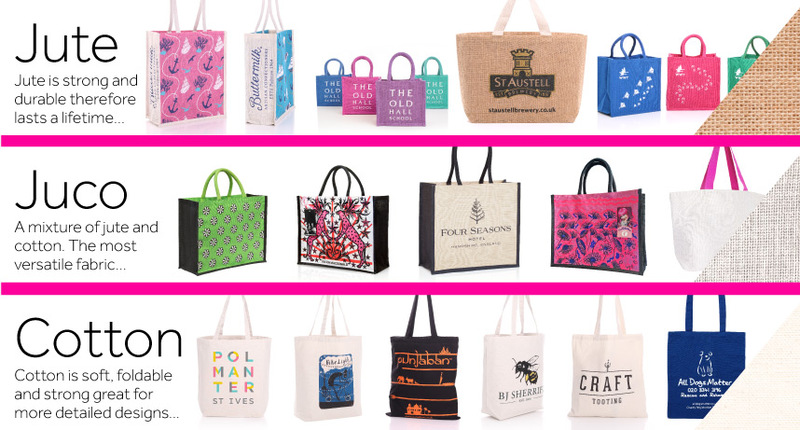 Choose the perfect ‘bag for life’ for your business, retail outlet or promotional event. 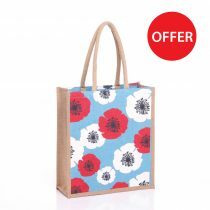 Purchase any of our items plain or printed to your specification. 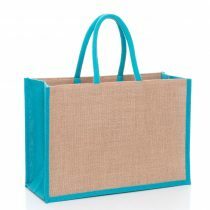 Jute Bags We are proud to offer you the largest range of natural and coloured jute bags within the UK. 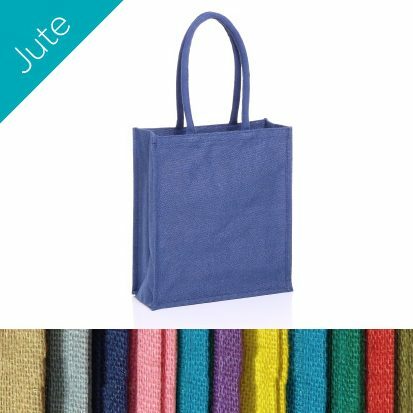 Printed or natural, large or small, choose the perfect jute bag for your brand. 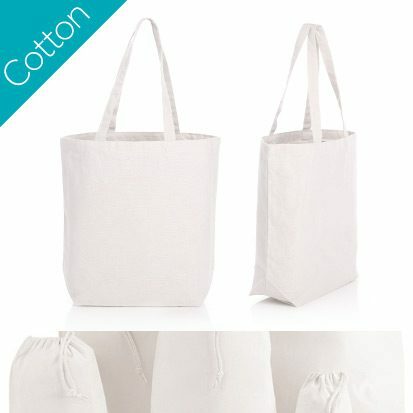 Cotton Bags Printed cotton bags are the one of most economical marketing tools for any business, charity or campaign. 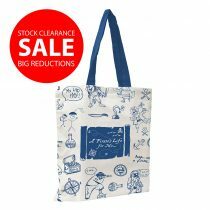 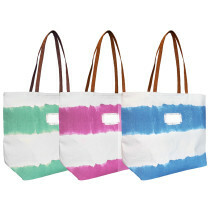 Browse our large selection of cotton bags in all shapes and sizes. 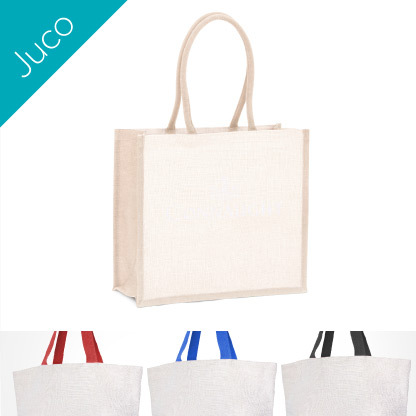 Juco Bags Juco is a versatile and increasingly popular new fabric. 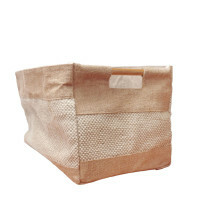 A blend of both jute and cotton. 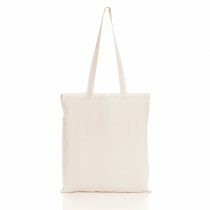 Together we can create a bag to be proud of. 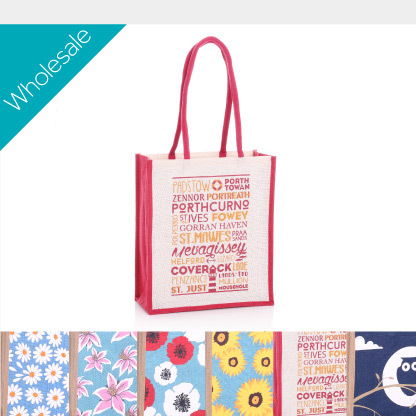 Wholesale Bags A beautiful set of colourful and joyful bag designs. 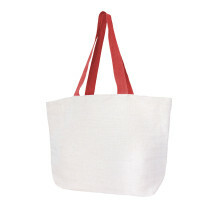 Available in a variety of designs and sizes. 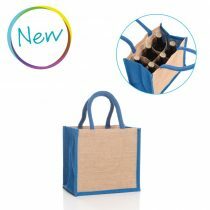 Bottle Carriers Jute beer bottle and wine bottle bags are particularly popular with breweries, cider farms, vineyards and distilleries. 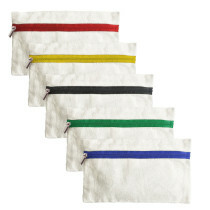 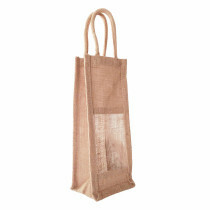 Hamper Bags Jute Hamper Bags are strong and spacious and come in five different sizes. 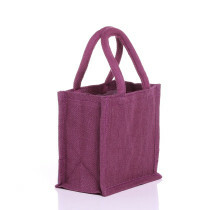 The smaller of the bags fit perfectly inside the larger one, great for storage opportunities. 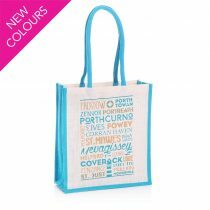 Branded bags are one of the best ways to promote your business name, charity event or marketing campaign. 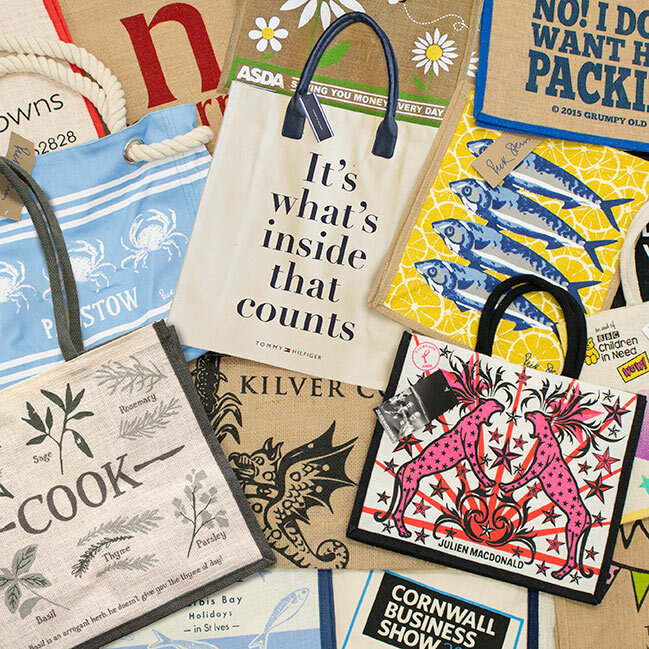 Our bags are reusable and environmentally-friendly. 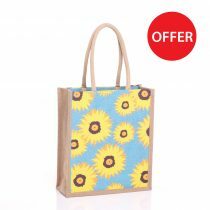 Sold from your shop at a profit, or given-away at a conference or event; advertising your brand in this form will give you the opportunity to reach a huge audience. 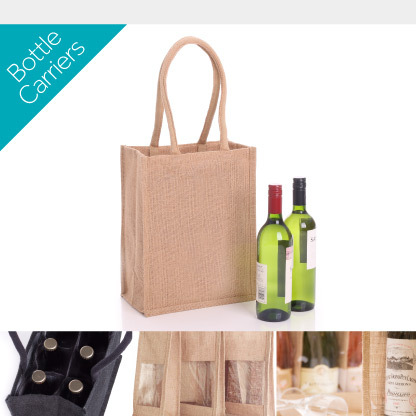 We can print on any of our stock bags from jute wine bottle carriers to cotton canvas, and we promise to create an ideal marketing product that represents your company ethos, on time and within budget. 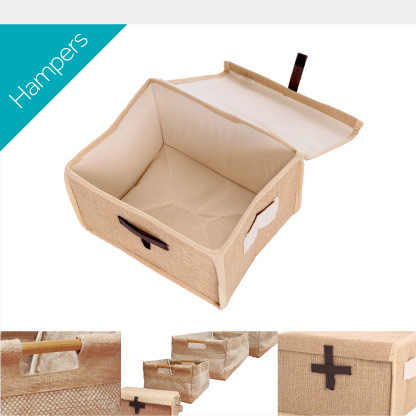 Looking for an alternative advertising tool? 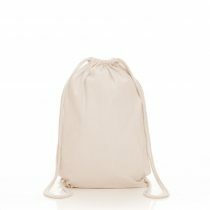 The answer’s in your hand.